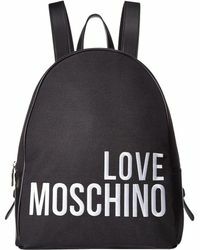 Moschino was founded in 1983 by Franco Moschino, and is famed for its insouciant and playful take on fashion. 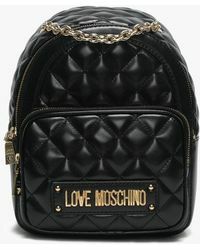 The Italian label expanded to include a diffusion line, Love Moschino, which remains true to the main line's irreverent cool. 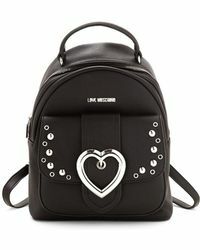 Vibrant color, statement prints and quirky embellishments are used to reimagine the bag collection with a contemporary twist. 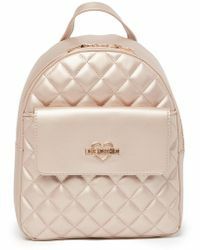 Expect to see shoulder bags, totes, shoppers, clutches and more, all boasting unexpected detailing. 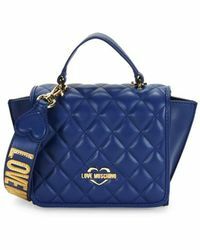 In a kaleidoscope of hues, the Love Moschino bag range is accented with everything from bows to graphic imagery. 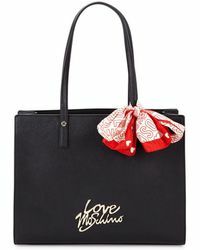 Every piece is stamped with the signature 'Love Moschino' logo or gold-toned 'Love' keychain.